Dr. Nili Wazana is a senior lecturer in the Department of Bible and the Department of the History of the Jewish People and Contemporary Judaism, at the Hebrew University of Jerusalem. Her research focuses on the Bible in light of ancient Near Eastern cultures, and is interested in deciphering and revealing cultural and historical contacts between biblical Israel and the ancient Near Eastern societies. 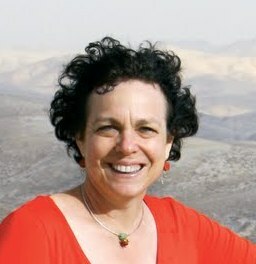 She is the editor of the Shnaton: An Annual of Biblical and Ancient Near Eastern Studies (Hebrew). Her book All the Boundaries of the Land: the Promised Land in Biblical Thought in Light of the Ancient Near East (Winona Lake, IN: Eisenbrauns, 2013) views the Promised Land in the interface between literature, history, geography and ideology.